Time for another dose of nostalgia. Having recently taken a trip down memory lane with the Jurassic Park franchise, the release of Terminator: Genisys is as good a time as any to look back at where the Terminator franchise began. With reviews of Genisys being less than complimentary (I haven’t personally seen it yet, so I will withhold judgement), it seems the Terminator franchise is in serious danger of becoming a cash cow. There is already meant to be a sequel to Genisys (penciled in for 2017), but personally, I feel the franchise could have (and should have) shut up shop with Judgement Day (which I’ll be reviewing later). The original film was released in 1984 (yes, it’s over 30 years old now), but one of the first things that struck me upon watching it the other day is that the visuals still hold up well even now. The scene where the petrol tanker the Terminator is driving blows up (subsequently leading to a skinless gleaming machine rising menacingly from the fire) remains well-done, even to this day. 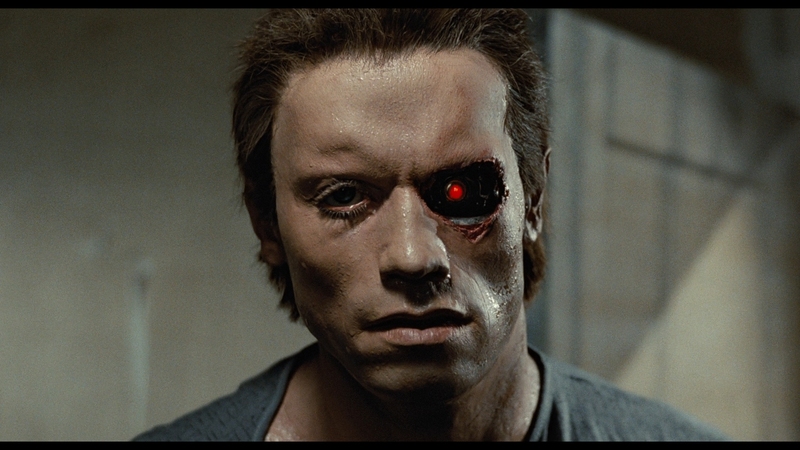 Any film worth its salt will have compelling characters and The Terminator is no exception. Sarah Connor is thrust from her ordinary life to discover she is meant to be the mother of humanity’s saviour, whilst at the same time being force to leave everything she knows in order to fight for her life with a man she can’t be sure isn’t crazy. In one night, her world turns upside down for good. Kyle Reese has known nothing but a scramble for existence ever since he was born (which brings me to a gripe about Genisys – the new Kyle Reese is a muscular hunk with a six-pack – which defies the world and lifestyle of a resistance fighter in those circumstances – the original Kyle captures precisely what we should expect of someone in Kyle’s shoes), and is pretty uncompromising, whilst secretly harbouring feelings for Sarah. 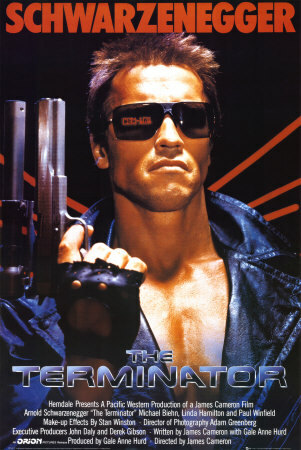 The part of the Terminator itself was made for Arnold Schwarzenegger. He’s come under fire for wooden acting (something he actually admits), but the cold mechanical way he moves in this film gives the Terminator it’s menace factor. There is not a hint of humanity in his portrayal. Linda Hamilton and Michael Biehn also give good performances. They’re believable as tragic characters trying to make sense of the situation they find themselves in, finding comfort in each other arms. It’s perhaps an irony that the film’s low budget is a contributing factor to its success. Everything feels a little rough around the edges, as things should when you’re fighting for your lives and on the run. 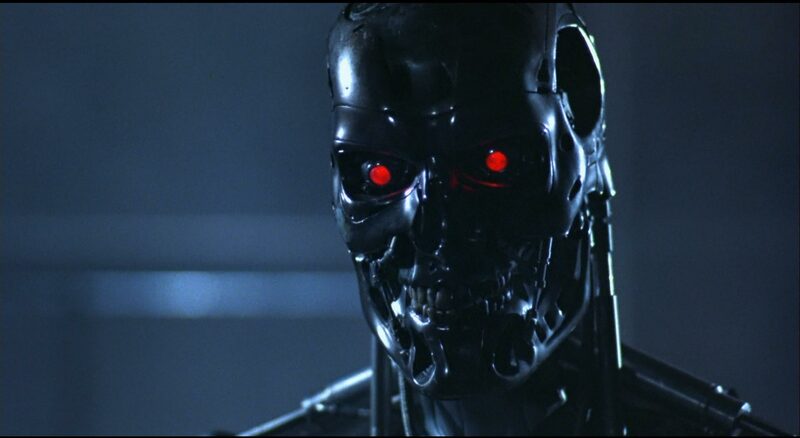 The Terminator remains a great film, one every sci-fi fan should see. 9/10.